Welcome to Alchemy Craft 2! and playing with for a while, I realized that its list of elements was super long (113 elements) and honestly kind of random. I also noticed that the ratio of work to reward was very lopsided towards work. So for Minecraft 1.7 I decided not to just update but to clean up Alchemy Craft into more of a mod that can be used rather than just an app brought to a different medium. I sat down and looked at the list of elements i had and only chose to keep the 13 that felt most basic of everything. I still wanted to keep the feeling of mixing two elements together to get something new but in a hopefully simpler way. For those of you still reading this, thanks! I now humbly present Alchemy Craft 2. Enjoy! Right clicking on the Well with a Spirit Fragment, Empty Bottle, Fish, Dirt, or Tiny Flame will consume the item and create an essence of AEther, Air, Water, Earth, or Fire respectively. 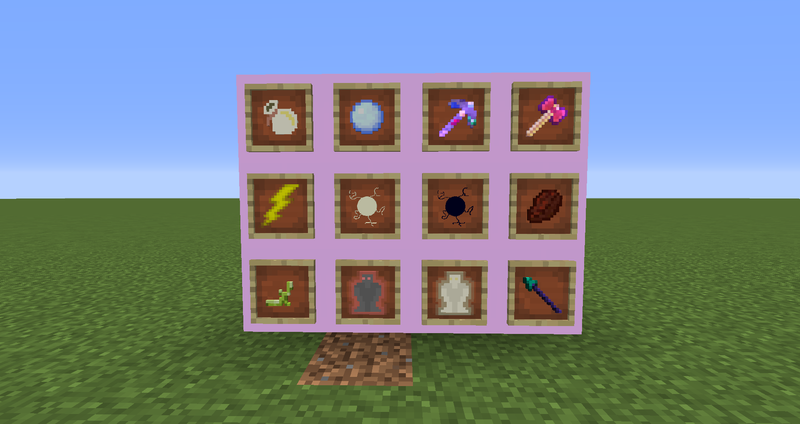 there are 13 elemental items added by alchemycraft2. Bag of Winds(Aura): Right click to launch the player opposite of the direction they are looking; 500 uses; does not prevent fall damage. Storm Pearl(Aqua): Right click to fill the pearl with a rain storm which can be released later; infinite uses. Terrestrial Pickaxe(Terra): diamond level pickaxe with fortune III, and efficiency IV; 500 uses; repairable in an anvil with diamonds. Fire Hammer(Ignis): right click to create an explosion wherever you are looking; consumes TNT from player's inventory; 500 uses; repairable in an anvil with iron. Zeus' Lightning Bolt(Impes): right click to summon a bolt of lightning; 500 uses; entities do not produce drops. Orb of the Sun(Lumen): right click to change night to day; 500 uses. Root of Fertility(Vita): right click on a block to create a 9x9 area of tilled dirt with water source in the middle; 10 uses; Will change any block in its range, be careful! 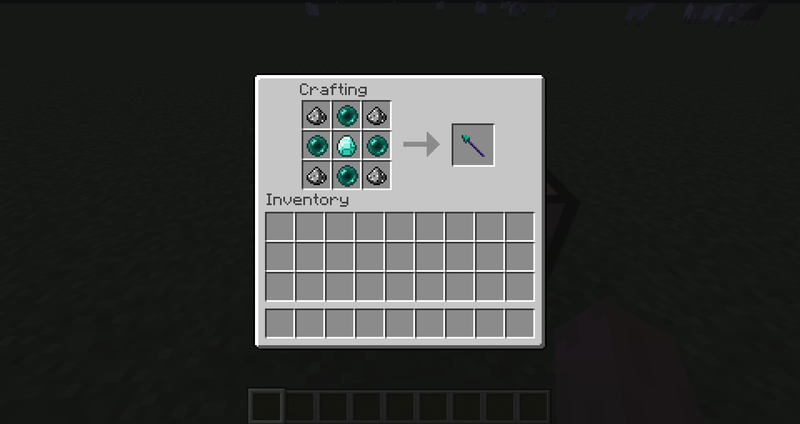 Void Staff(Vacuum): right click to shoot an ender pearl; 500 uses. 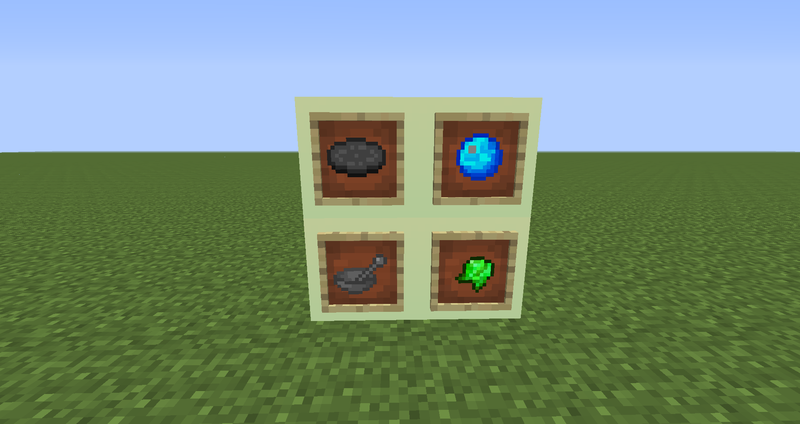 There are several other items in alchemycraft2: the blank record, the full storm pearl, shiny block, the ball of herbs, and the mortar and pestle. The blank record is crafted shapelessly from 1 nox, 1 magicis, and 1 impes, and is used in transmutation to create the other records. The full storm pearl is a storm pearl with a storm in it. It can be used to release the storm. It can be crafted by combining an empty storm pearl with 1 liquida. It can also be smelted in any furnace to get an empty storm pearl. The shiny block is decorative. It cycles through a pastel rainbow. It is crafted with a piece of smooth stone and one each of the five basic elements. Alchemycraft2 offers an alternate way to create potions without using a brewing stand. First you need a mortar and pestle which is crafted with a 2x2 of smooth stone with an 5th piece in the opposite upper corner. Next gather some oak, birch, spruce, jungle leaves. Craft them together with the mortar and pestle to make a ball of herbs. **Note** You may add both Aura and AEther or Vacuum to one potion but not both AEther and Vacuum. All recipes require the Alchemical Stone. Recipes that are not a 1 for 1 ratio will have a * next to them if not specified. The first thing to do is punch some grass. 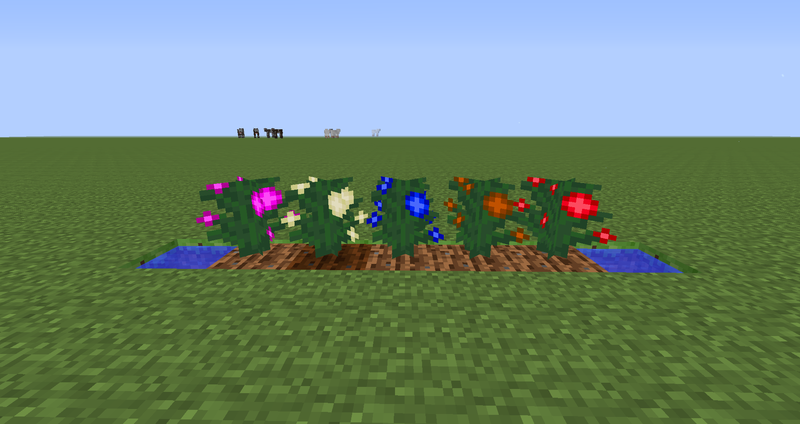 You will eventually find 5 new kinds of seeds, AEther, Air, Water, Earth, and Fire. Grow these just like wheat to get your elemental powders. there are 13 elemental items added by alchemycraft2. They are all crafted by surrounding a diamond with their corresponding elements. p]Pocket Nether Portal(Lues): right click to teleport to the nether; 500 uses; creates a nether portal upon entrance. 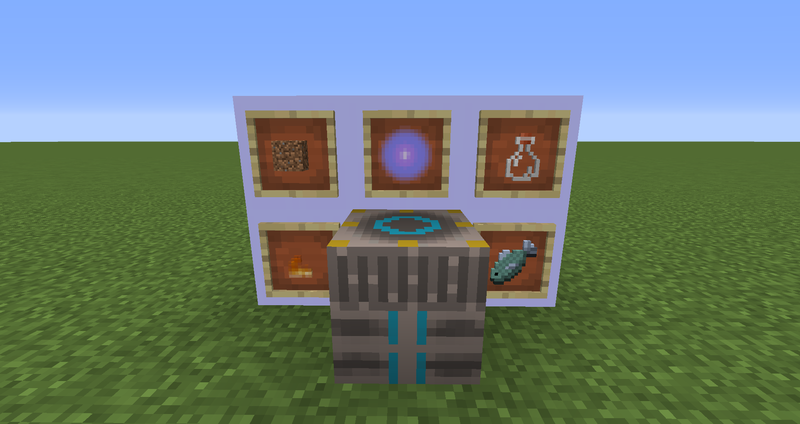 Pocket Overworld Portal(Bonum): right click to teleport to the overworld; 500 uses; creates a nether portal upon entrance. 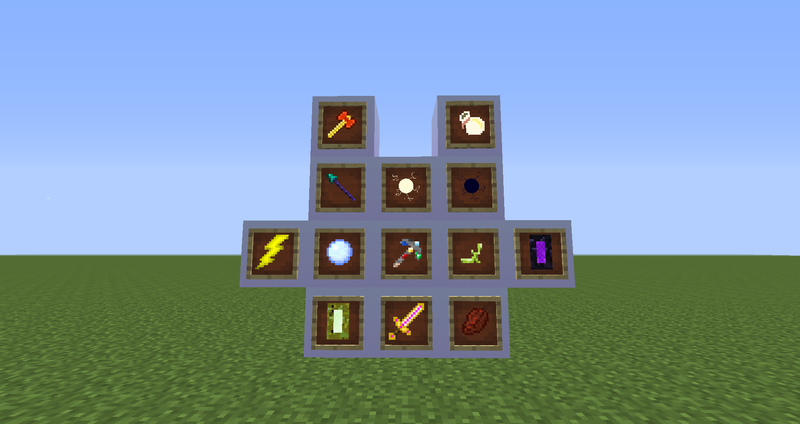 I am happy to tell you that you may use alchemycraft2 in any public or private modpack without needing to ask me. All I ask is that somewhere i am given credit for it. v1.3.2-- Fixed missing AEtherium Nuggets causing crashes with Reliquary and Blood Magic. v1.3.0--updated to Minecraft 1.8.9. Changed element system to essence well. Changed recipes for elemental item. Consolidated and renamed Elementium Armor and AEtheric Sword. Added item creation and transmutation for 1.8 items. Replaced Pocket Portals with Curios. Due to a faux pas in capitalization, you might encounter missing textures on the AEtherium Armor. This has been fixed as of 10:15 EST Jan. 22, 2016 and the link below changed. If you experience this, it can be fixed by opening the jar as a zip, going into assets/ac2/model/item and making sure the "E" in "AEtherium" is capitalized. I feel like this is based a LOT on Thaumcraft.. there are even things like Aqua, Ignis, and Malum, along with elemental ores and other things. 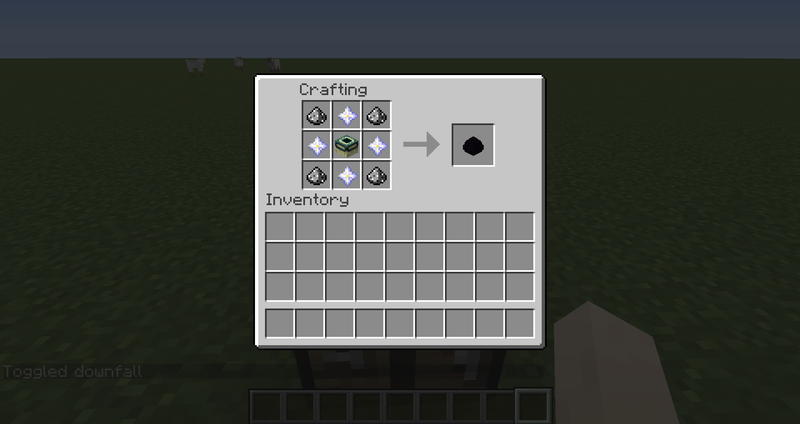 This is a bit too thaumcrafty, I say you mix up the names of the elements and change the ores to plants or other things harvestable in the world, OR you change it to be a thaumcraft styled alchemy add on. 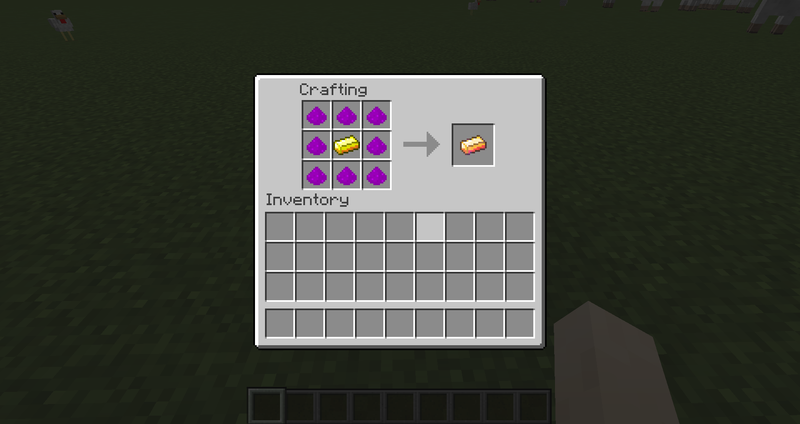 I was thinking similar things when making the mod and I tried to do my best to make it different from thaumcraft. As far as names are concerned, 1) Azanor doesn't own the Latin language and 2) I wanted to use different words but sometimes there are no substitutes. I kind of liked the idea with the plants, maybe use the plant itself, grind it up in the mortar & pestle. Just keep thinking biology, physics and chemistry.with a touch of philosophy and religion. Science and magic. Not really a whole lot of wiggle room, their are only so many processes the alchemist can do. Smelt metals or heat them til they oxidize so you can powder them, distilling, fermentation, creating gases (heating liquids in the smelter til they vaporize, , mixing acids to powders to get different gases, casting treated metals into items (rings, weapons, etc), discovering alchemists fire (very hot, specifically created for alchemy or not if you desire). And you could use those procedures to add aspects to items, potions, concoctions, elixirs, create essences (for other mods or for other uses in alchemy), discover rare earths, create items for locating other materials and of course at least one ultimate single or limited use item. Maybe use the characters level to create the items and mix the potions, elixirs, salves,balms and concoctions. Ok ok, so not all of those are strictly alchemist, but herbalism and alchemy are pretty close to one another. Hell, make this a alchemist/herbalist mod, then you could use all sorts of ingredients, plant, elements, metals, animals, gems and could use all sorts of cool equipment, alembics, apothecary jars (if you really wanted to get people interested) for storing herbs, flowers, animal parts, etc. vials, cruets, braziers, beakers, vat, crucible, etc. Sorry, D&D geek hehe. Maybe figure out some way of calculating success or failure (explosion errr... I mean bad mix), I suppose you could even make golems or living statues or something like that with this. I havent played thaumcraft yet so, if this is anything like that, disregard please, thanks. Hope this helps some. Looking forward to seeing what you do. Sorry about the super long main post. Spoilers being glitchy. Ha Ha! I got it fixed! By far one of my favorite mods of all time, especially since you made it farming based instead of mining but if I could offer a suggestion I think you should make it so that you can craft the Mortal and Pestle together with seed to make that seed into powder so that you don't have so many extra seeds. Keep up the good work. 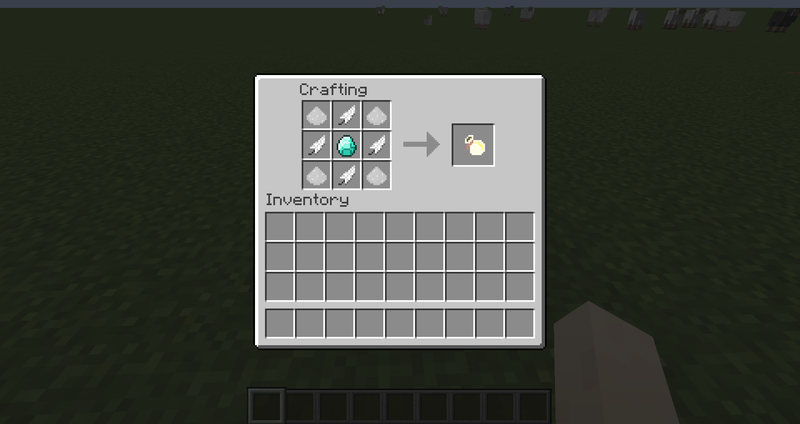 I don't know if it's due to other mods I have, but the spawn egg created with 9 vita and the spawn egg you need to make other spawn eggs seem to be different items - "spawn" and "spawn item" respectively. Does anyone else have this problem? I've noticed this and there should be a fix for it soon. Sorry for the inconvenience. Thank you! I think it's just an item location error, but it's been a long while since I coded. Thank you for pointing this out! As of when this comment is posted there is a fix. Just had to use a different method than onItemUpdate. Glad you are enjoying the mod! I've made an interesting discovery; It turns out alchemycraft2 and agricraft used to be compatible (up to agricraft 1.3.1). It seems something was changed in agricraft 1.4.0 that made the two mods no longer work together. I can honestly say that I've tried everything in my power to make them work from my end, but unfortunately nothing has been working. At this point I think future compatibility is up to InfinityRaider. [18:28:55] [Client thread/WARN] [FML/ac2]: * A broken ore dictionary registration with name ingotCopper has occurred. 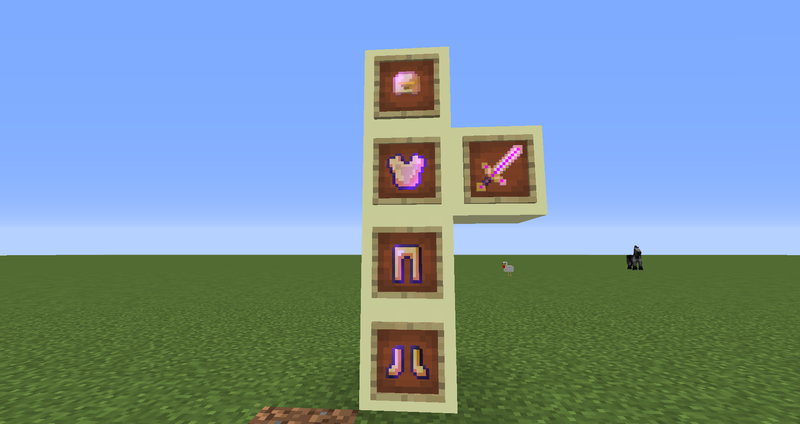 It adds an item (type: class net.minecraft.item.Item) which is currently unknown to the game registry. This dictionary item can only support a single value when registered with ores like this, and NO I am not going to turn this spam off. Just register your ore dictionary entries after the GameRegistry. TO USERS: YES this is a BUG in the mod Alchemy Craft 2 report it to them! [18:28:55] [Client thread/WARN] [FML/ac2]: * A broken ore dictionary registration with name ingotLead has occurred. It adds an item (type: class net.minecraft.item.Item) which is currently unknown to the game registry. This dictionary item can only support a single value when registered with ores like this, and NO I am not going to turn this spam off. Just register your ore dictionary entries after the GameRegistry. [18:28:55] [Client thread/WARN] [FML/ac2]: * A broken ore dictionary registration with name ingotSilver has occurred. It adds an item (type: class net.minecraft.item.Item) which is currently unknown to the game registry. This dictionary item can only support a single value when registered with ores like this, and NO I am not going to turn this spam off. Just register your ore dictionary entries after the GameRegistry. Perhaps, in your code, you could make it only register the "blood" fluid if it hasn't already been registered? TConstruct also has a fluid with the same name, and if you specifically don't want to be dictionary compatible, you could use something like "cruor" or "sanguis" in the code, if you want to go the latin route. "alchemy.blood" would also work. Can use your Mod in my ModPack? Use ModPack name is Magicians Life.